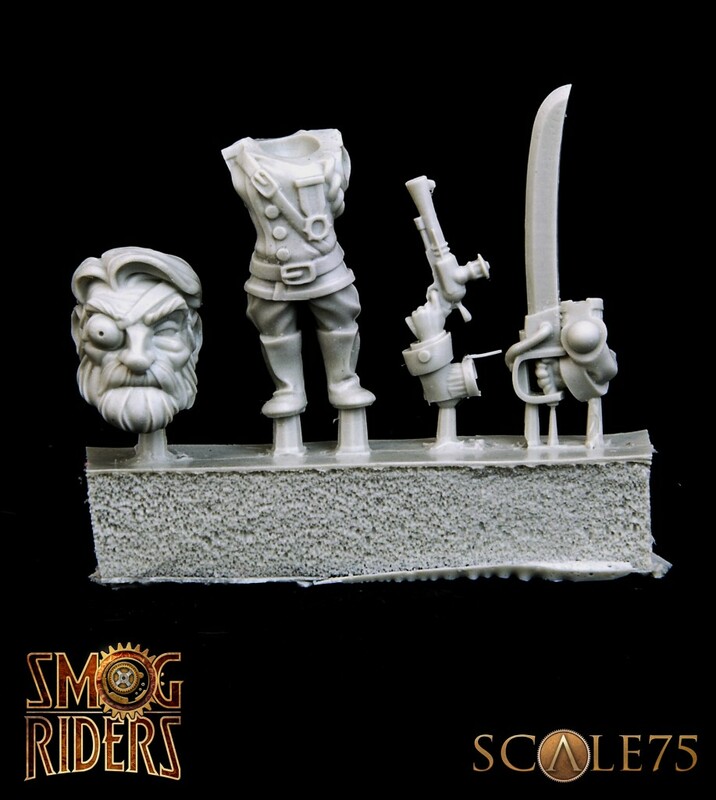 The Smog Riders line is a series of figures aimed to improve the painting skills of amateurs. The Smog Riders figures come with explanatory leaflets including step by step guides to paint them in a simple but effective way. There is also a blog where we will be uploading additional content to extend the techniques explained in the prospectus. These tutorials for improvement or “Level ups” will allow the fan to learn more advanced techniques than those included with the model. The reduced complexity of the elements will allow the user to see good results from the very beginning without having to spend months with each figure. With each model there will be explained a different technique and, over time, our blog will be a reference library of comprehensive painting techniques for anyone wanting to get started in painting miniatures. 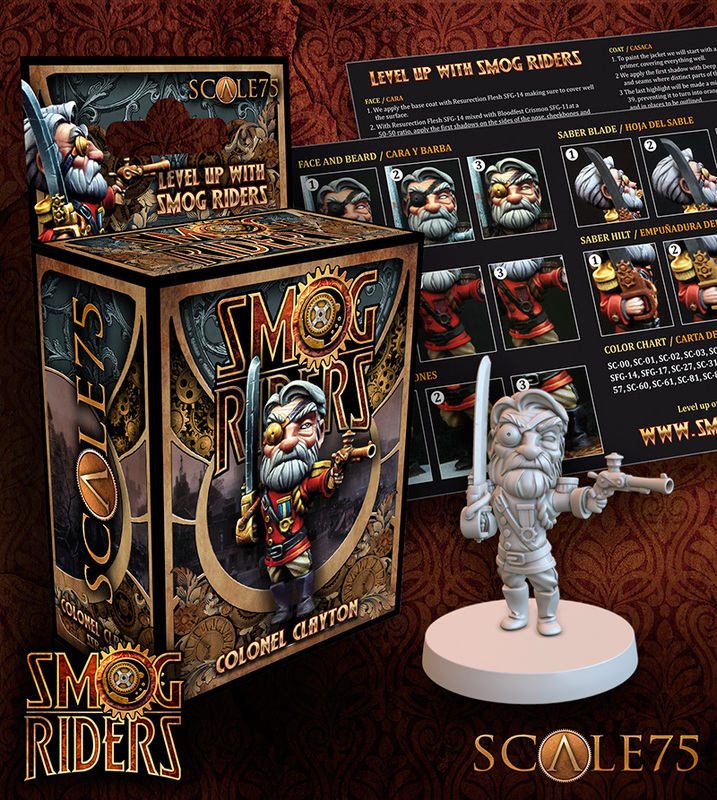 Smog Riders is a perfect combination for collectors and fans of painting miniatures without being an obstacle to those who have never picked up a paintbrush. The quality of materials and detail combined with the simple geometry of the figures are ideal to learn to paint. Although simple, our models allow the application of painting techniques both basic and advanced and may raise challenges for even the most experienced painters. What does Smog Riders offer? Attractive and simplified Steampunk themed design combining simplicity and detail. High quality resin that keeps faithfully the elements of the designs. Precise painting instructions included with the models designed to move begginer painters forward. Online support with step by step processes, videos and alternate versions. 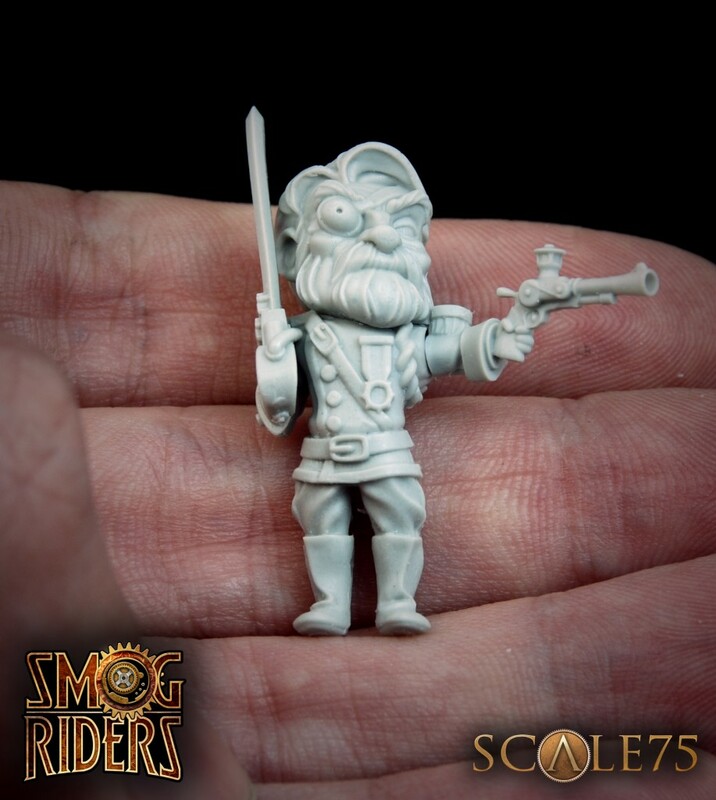 In this blog you’ll have the tutorials that go with the Smog Riders figures so you can see them in a larger size to better appreciate the process. In addition, some figures have additional processes of greater difficulty that we call Level Ups! Each figure will have two sections, one where the basic processes are grouped and another one with the Level Ups! As we’ve already mentioned Smog Riders is focused on increasing the painting level of the user and therefore the communication is very important. One of the advantages of the blog format is the possibility that people can add comments and questions about the processes. With people’s questions we can go completing the original information to achieve tutorials that satisfy all the visitors and can that can always bring a little more with each new visitor. By separating the comments of the basic section and the Level Ups! it will be easier to guide the answers to a level that can be understood by all visitors and to follow easier the thread of the conversation.